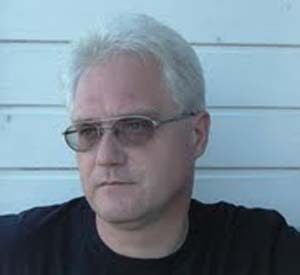 Otto Fenyvesi (1954, Moholgunaras, Yugoslavia). Poet, writer, artist. 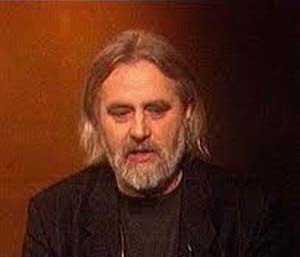 He studied philosophy at the University of Novi Sad (1973-1978). He became the member of the editorial board of the literary periodical, Új Symposion in 1975 which he, and his collegues were forced to leave in May 1983 due to political cleansing. 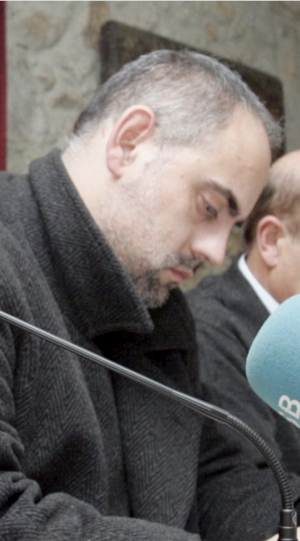 He’d worked as a disc jockey at the Radio of Novi Sad for 15 years. He was employed as a journalist and assistant director at the local television station. He’d edited the rock column of a weekly magazine, Képes Ifjúság. In 1987 he became the editor of the literary programmes of the Radio of Novi Sad. He emigrated to Hungary (Veszprém) in November 1991. He worked for different newspapers, televisions and magazines. Since 2002 he is employed by the Northern Transdanubian Regional Centre of the Hungarian Academy of Sciences as a field secretary. 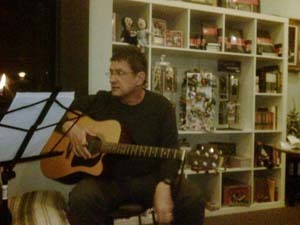 He is the editor in chief of the local literary periodical, VÁR UCCA MŰHELY in Veszprém. Bluz iznad okeana (2009, poems, Novi Sad). He translates form English and South Slav languages. 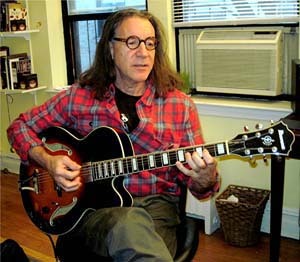 His solo exhibitions took place in Novi Sad, Budapest, Veszprém, Balatonfüred, Bottrop, Chicago, Lake Hope, Szeged and Backa Topola. He’d participated in several group exhibitions. His awards: Sinko Prize (1977), Prize of Veszprém County (1993), Pro Meritis Prize (1999), Sándor Petőfi prize for journalism (2002), Versmegálló – National Fine Art Competition, Main Prize (2007), Nagyapáti Kukac Péter Prize (2008). 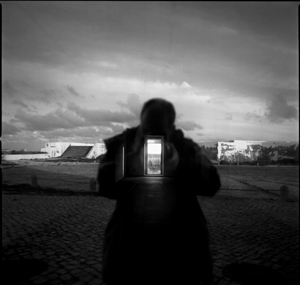 Saját erőd (Your own Fortress, 2008). His poems and essays were broadcast by the Hungarian National Radio. 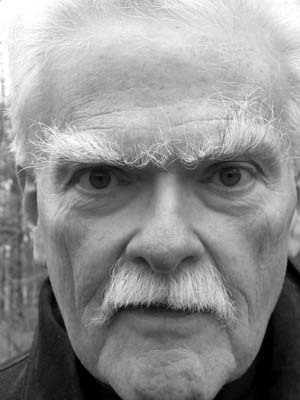 He received the Diploma of Merit from the jury of the Salvatore Quasimodo Poetry Competition three times, in 2004, 2005 and 2006. He worked as an editor of Kortárs literary magazine between 2008-2009. Nate Fisher is currently just passing through. 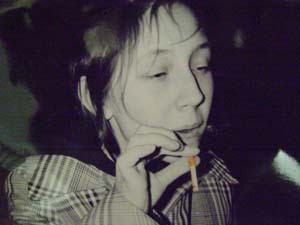 Mary M.Y. Fung was born in Hong Kong and received her B.A. (Hons.) from the University of Hong Kong, her M.A. in English and Comparative Literature from Columbia University, her Ph.D. in Translation Studies from the University of Warwick. She taught Chinese Literature and Translation at the University of Hong Kong for over thirty years and is currently Honorary Associate Professor at the University. 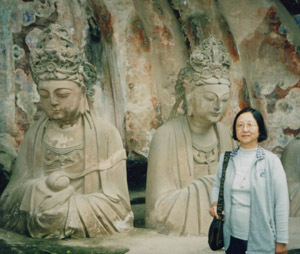 Her publications include translations both from English to Chinese and Chinese to English as well as learned papers in translation studies in academic journals. The Carving of Insects, English translations of the poetry of Bian Zhilin (1910-2000),in collaboration with David Lunde, won the 2007 PEN USA Translation Award. Her most recent publication is The First and Second Buddhist Councils: Five Versions, English Translations from Pali and Chinese, jointly with K. Anuruddha Thera and S.K. Siu, Hong Kong: Chi Lin Nunnery, 2008.Her ongoing project is the translation into English of Chinese Zen poetry, also in collaboration with David Lunde. 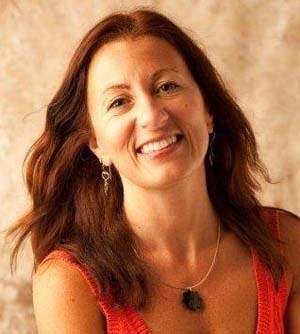 Margaret Gilbert is the author of a book-length prose poem Sugaring Off. Sugaring Off takes its title from a Grandma Moses painting and is about an affair with Sir Rudolf Bing of the Metropolitan Opera, who collected Grandma Moses paintings. All the pieces are named for Grandma Moses’ paintings. Selections from Sugaring Off were chosen by C.K. Williams for Third Place in the Mud Fish Poetry Prize, and all but five pieces in Part II have appeared in various journals. Four prose poems are forthcoming in the 9.1 issue of Hotel Amerika. Other poems by Gilbert have been published in Callaloo, Crazyhorse, Poetry East, The New York Quarterly, Exquisite Corpse, Mudfish, The Hollins Critic, and Poets and Artists. “Joy Ride” from Sugaring Off is featured online at poetsandartists.com in their November 2009 issue. 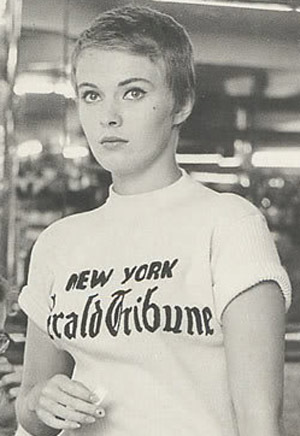 She says: I didn’t include a photo, but I look like the movie star Jean Seberg. 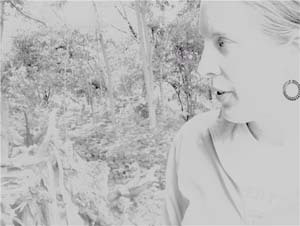 Recently nominated by the University of Missouri-St. Louis for the national Best New Poets award, Julia Gordon-Bramer is a St. Louis-based poetry and prose writer who, when not writing, spends her time rescuing stray cats, striving to find perfect alternative rock, and feeding a serious Sylvia Plath obsession. Recent publications include the Arkansas Review Journal of Delta Studies, MARGIE: the American Journal of Poetry, Literal Chaos, Bad Shoe, and more. She will graduate this spring with an MFA in Creative Writing from the U of Mo-St. Louis and, if all goes well and the world doesn't end, will have a collection of her own poetry out in 2012 with Time Being Books. 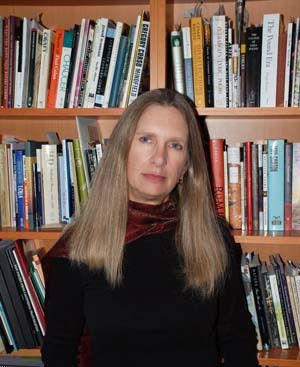 Anne Gorrick is the author of I-Formation (Book One) (Shearman, 2010), the forthcoming I-Formation (Book Two), and Kyotologic (Shearsman, 2008). She also collaborated with artist Cynthia Winika to produce a limited edition artists’ book, “Swans, the ice,” she said, funded with grants from the Women’s Studio Workshop in Rosendale, NY and the New York Foundation for the Arts. She curates the reading series Cadmium Text, featuring innovative writing from in and around New York’s Hudson Valley (www.cadmiumtextseries.blogspot.com). 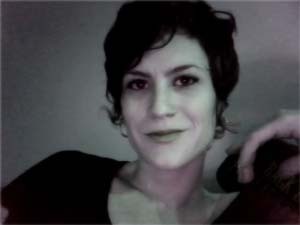 She also co-edits the electronic poetry journal Peep/Show with poet Lynn Behrendt (www.peepshowpoetry.blogspot.com). Anne Gorrick lives in West Park, New York. Erin Goss is a bookslut. Like the review, 100% Babylonian book whore. 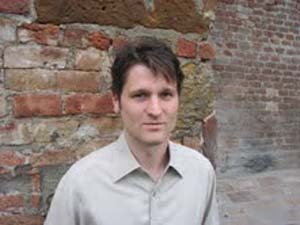 Greg Grummer has published poems in many periodicals and small presses, including American Poetry Review, Ploughshares, Indiana Review, Rhino, William & Mary Review, Hunger, Porcupine, Small Pond, Fine Madness, and Phoebe, Now Culture, Triggerfish, and others. His book, Long After the Fall of Communism, was recently published in an anthology titled Burning Gorgeous, 7 21st Century Poets. 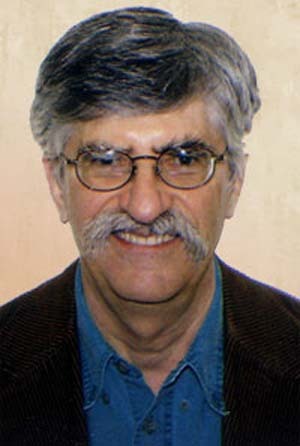 He is one of several editors of the online journal Triggerfish Critical Review. 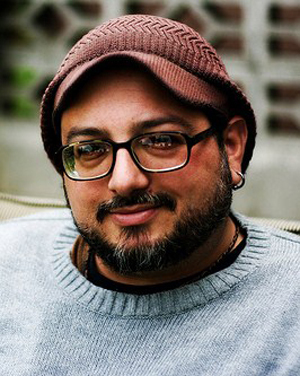 In 1990 he was co-poetry editor of Phoebe, the university small press He currently works at Greg Markim, Inc, marketing and manufacturing papermaking kits and supplies. He has done artist-in-residency programs for area grade schools and taught papermaking to the community at large. Greghttp://rp-author.com/BurningGorgeous. 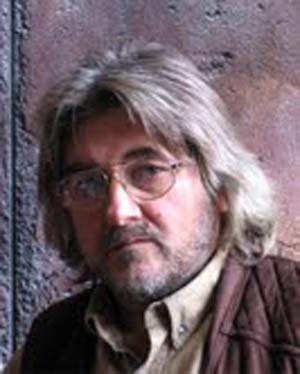 Gabor G. Gyukics is a Hungarian-American poet, translator, the author of five books of poetry and nine books of poetry translations including A Transparent Lion co-translated with Michael Castro. At present, he is working on a North American Indian poetry anthology in Hungarian. 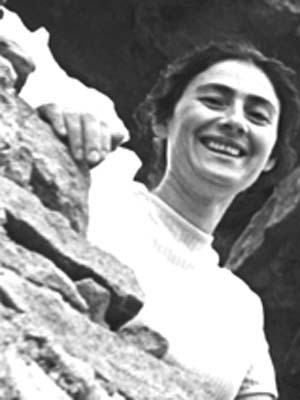 Gizella Hervay (1934 – 1982) Author of 12 books of poetry and two children's books, teacher, editor. 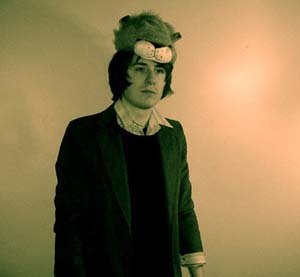 Geoffrey D.Holman A.K.A. Priest Director/Screen and Playwright/Producer/Multi disciplinary artist/Spoken word performance artist and published author/illustrator. Cassandra Howard lives in St. Louis, where she edits botanical manuscripts in bed with cats. Jonathan Kane writes: I got my first camera in 1975 when I was sixteen years old. Within two years, I became the society photographer for the Naples Star, a local weekly newspaper. I loved photographing Naplesian cocktail soirees and tax deductible charity spotlight dances, because it gave me the opportunity to study, document and express my feelings about society. I was photographing alien culture, Neptune with a Pier, dull AM radio, and a Flaming Fountain. In the past, I preferred black and white film exclusively for the tonality and textures I could achieve. I refrained from color film, because I was not attracted to the natural look of it. As my work gravitated towards a more surrealist sensibility, I found the qualities of black and white film enhanced the effects I wanted to create. Digital photography, with its boundless color spectrum, changed my mind about working in color. In the digital medium, I am able to conjure up the subtlest hues-mélanges of colors. Colors I see bouncing off shadows or refracted by light in swamp buggy salvage yards and industrial parks, which, more recently, have become the ground for my figures. Or layered into my mis-en-scene, achieving the look in my photos that I have always aimed for, and have never seen anywhere else. I work experimentally, preferring not to plan out my pieces in an academic manner. I am more interested in the effects of chance, coincidence and synchronicity in my work. I work in repetition, using it as a technique to exhaust my options, creatively and technically, until I am satisfied with the final piece. 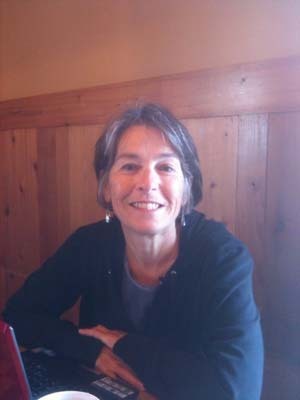 Mary Kasimor's poems have been published in many print and online journals, including Fact-Simile, moria, GutCult, Otoliths, Cannot Exist, Big Bridge, MIPOesias and others. She has two books published: & cruel red (Otoliths Books) and silk string arias (BlazeVox Books). She has recently started writing book reviews, and they have been published in Jacket and now Big Bridge. She is very happy to be reviewing Bobbi Lurie's, Grief Suite. 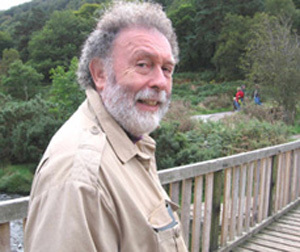 Robert Kelly is one of the most influential American poets and has published more than fifty books of poetry and prose, including Red Actions: Selected Poems 1960-1993 (1995) and a collection of short fictions, A Transparent Tree (1985). Many were published by the Black Sparrow Press. He also edited the anthology A Controversy of Poets (1965). Kelly was of great help to the Hungryalist group of poets of India during the trial of Malay Roy Choudhury, with whom he had correspondence, now archived at Kolkata. 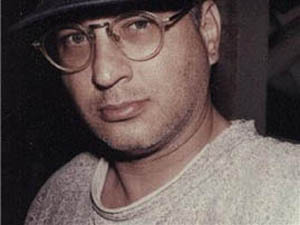 Kelly received the Los Angeles Times First Annual Book Award (1980) for Kill the Messenger Who Brings Bad News and the American Book Award, Before Columbus Foundation (1991) for In Time. He also serves on the contributing editorial board of the literary journal Conjunctions. Poet/painter Basil King’s larger paintings can be seen on the Web at the Spuyten Duyvil, Light & Dust, Avec, and Marsh Hawk Press websites. He is the author of several books: Split Peas, Miniatures, Devotions, Identity, The Poet, Warp Spasm, Mirage, and 7 Beasts/Basil King’s Beastiary. Recent exhibitions include an ephemeral 12’ x 16’ wall piece at Bowery Poetry Club, New York, and participation in a group show, "Greetings from Black Mountain College" at Bridgette Mayer Gallery in Philadelphia. Levente Király was born in 1976, Szeged, at present he is living in Budapest. He started to write poetry at the age of seven, he first published in a literature magazine at the age of nineteen and his first poetry book (A legkisebb – The Smallest) was published in 2000 and won the Gérecz Attila Prize for the best debut book of poetry. His fifth book came out in the summer 2010. He works as an editor of one of Hungary's most noted publishing house, Magvető. 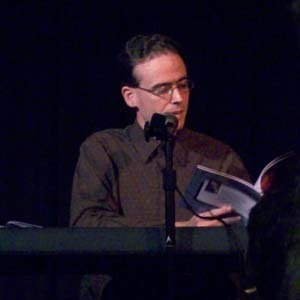 David W. Landrum has been active in the poetry scene, including the Slam scene, in his city of Grand Rapids, Michigan, for many years. His poetry has been published widely. 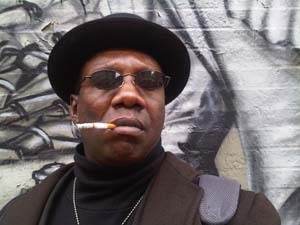 He edits on the on-line journal, Lucid Rhythms, www.lucidrhythms.com. He teaches Literature at Grand Valley State University in Allendale, Michigan. 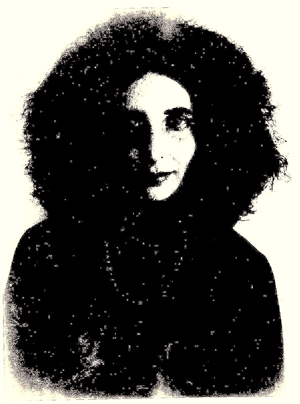 Louise Landes-Levi NYC, travelled to India, overland, in the late 60's and stayed there long enough to sew the seeds for her future development, as poet and musician. Her works on India, recognized classics, decades after their accomplishment – RASA by Rene Daumal and Sweet on My Lips the Love Poems of Mira,, are still in print. An itinerent classicist, LLL continues to publish, write and wander, translating when requested and performing in a wide variety of circumstances. Heller Levinson lives in NYC where he studies animal behavior. He has published in over a hundred journals and magazines including Sulfur, Jacket, Hunger, Talisman, First Intensity, Laurel Review, Omega, The Wandering Hermit, Fire (U.K), Tears in the Fence (U.K.), Alligatorzine, The Jivin' Ladybug, Moria, Woodcoin, Mad Hatter Review, etc. 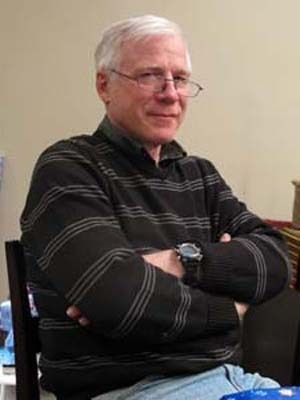 His publication, Smelling Mary (Howling Dog Press, 2008), was nominated for both the Pulitzer Prize and the Griffin Prize. Black Widow Press will be publishing his from stone this running in 2010. Additionally, he is the originator of Hinge Theory. Please visit www.hellerlevinson for more information. 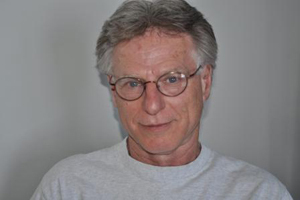 Rick London's publications include Dreaming Close By (O Books, 1986); Abjections: A Suite (O Books, 1988); and The Materialist (Doorjamb Press, 2008). He is co-translator (with Omnia Amin) of works in Arabic by Ahmed Abdel Muti Hijazi, Mahmoud Darwish, Nawal El Saadawi and Ibrahim Nasrallah. He lives and works in San Francisco. David Lunde was born in Berkeley, California and raised in Saudi Arabia. After graduating from Knox College in 1963, he attended the Iowa Writer’s Workshop on the recommendation of Archibald MacLeish, receiving his M.F.A. in 1967. He supported himself in graduate school by inking charts and graphs of satellite data for Dr. James A. Van Allen, and occasionally babysitting for Kurt Vonnegut. After graduation, he taught English literature and creative writing, and directed the creative writing program at SUNY@Fredonia. Upon retiring in 2001, he moved to North Bend, Oregon with his wife, fantasy novelist Patricia A. McKillip. Lunde’s poems, stories and translations have appeared internationally in more than 230 periodicals, and 40 anthologies. He has published eight books of poems, and in collaboration with Prof. Mary M.Y. Fung, The Carving of Insects, a translation of the collected poems of the 20th C. Chinese poet Bian Zhilin, which won the 2007 PEN USA Translation Award. Past awards include the Academy of American Poets Prize, and two Rhysling Awards for Best Science Fiction Poem of the Year. Another collection of Lunde’s Chinese translations, Breaking the Willow, was published in fall 2008.